Here’s one to help take you into the weekend from a new, New Jersey-based duo that goes by the name of Dharmasoul. 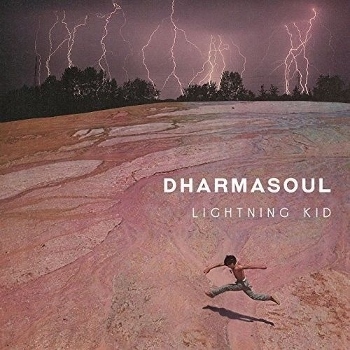 Featuring Jonah Tolchin on guitar and Kevin Clifford on drums (with the two trading off on lead and backup vocals), Dharmasoul makes an awfully strong name for itself with its debut album Lightning Kid (Dharmasoul Records). Joined by a trio of friends on bass guitar, keyboards, and viola as well as two female backing vocalists, Tolchin and Clifford deliver an impressive program of ten original tracks, with sounds ranging from R&B soul and rock to hip-hop and funk. In addition to the early-Black Keys-like grooves and stinging guitar of the upbeat, hypnotic “Chosen One” (for which you can view the video below), you’ll also want to be sure to check out the soulful R&B of “Open Your Heart” that fluctuates between a swaying, “I Found a Love” easiness and raw guitar and Fantastic Negrito-like vocals, and the hip-hop gospelish soul (think Tedeschi Trucks Band meets Fantastic Negrito, with a bit of Black Keys thrown in) of “Love Again”, including some terrific keyboards from Brendan Moore. All the tracks here are solid, with a few other favorites including the groovy closing instrumental “Vulgar” and a Trigger Hippy-ish, viola-accented “Taste So Sweet”. If you’re listening within earshot of any young adults (and this music is certainly cool enough that you can), you’ll want to be cognizant of the foul language in the chorus of the title track, which may also serve as something of a warning to other emerging artists looking to gain attention for their debut albums: “watch out, motherf#%@er… (it’s) the Lightning Kid“! This entry was posted in Albums, Tune into the Weekend and tagged Dharmasoul. Bookmark the permalink.